GOING to the grassroots level is key in maintaining peace in the city, an official said. Task Force Davao (TFD) commander Colonel Consolito Yecla underscored that it is important to ask the support of the communities to be the government's active partner in maintaining peace in their area especially when there are scheduled activities in the city like Holy Week and Palarong Pambansa. With this, TFD fully supported the Anti-Terrorism Awareness Forum on Saturday, April 13, initiated by Tibungco barangay officials and local security officers which was participated by some residents of Tibungco Relocation, Davao City. The forum seeks to educate the public about the threats of terrorism and equip them with adequate knowledge on how to respond when it happens. 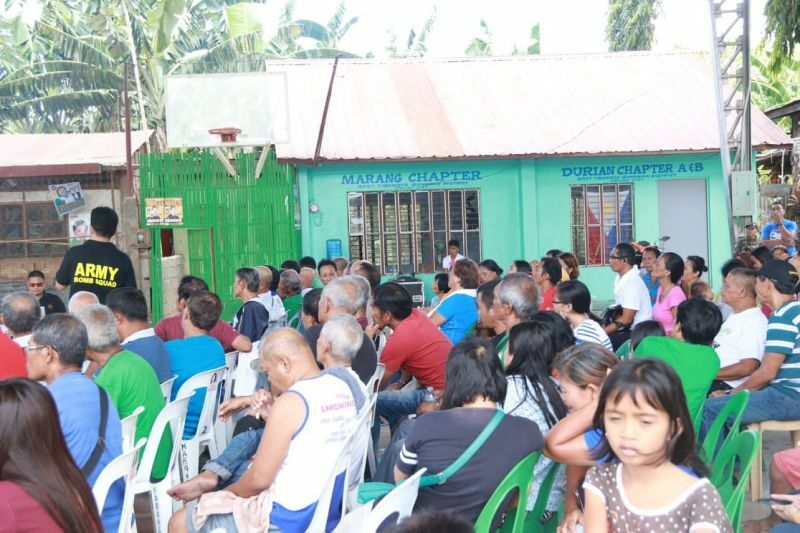 It was participated by members of the barangay peace and order council, purok leaders, different officers from the different sectors and homeowners association officers. “Napaka-importante ng programang ito dahil malapit na ang ating Holy Week at meron din tayong Palarong Pambansa na ise-secure. Sisiguraduhin natin na yong komunidad ay magagamit natin para ma-ensure na ang buong Davao City ay safe kasi kailangan natin i-monitor ang area natin,” Yecla said. Participants learned how to counter terrorist attacks, what should be done when they sighted suspicious baggage, and ways to carry such materials, among others. Acknowledging that they have limited troops to secure the entire city, Yecla said, people in the communities will be their eyes and ears should there are prevailing security threats. Though there are no direct threats here, with the upcoming Holy Week and Palarong Pambansa that is expected to draw huge crowd especially in churches, pilgrimage sites, schools, activity areas, they continuously implementing their 24/7 intensified checkpoint operations in three major checkpoints in the city. “We always consider threats as continuing, we always prepare for a high level of threats,” he added.